Date of Birth : 1st March,1947. Bengali, English, Hindi, Arabic, Undue, Persian. Ph.D : In Rajshahi University,1988. The subject Is-Imam Tahawi And His Contribution To Hadith Literature. - Lecturer, Rajshahi University, from 1976 to 1980. 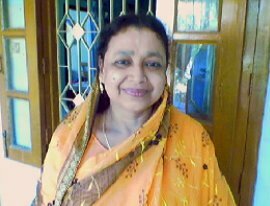 - Assistant Professor, Rajshahi University, from 1980 to 1986. - Associate Professor, Islamic University, from July, 1986 to 31st December.90. 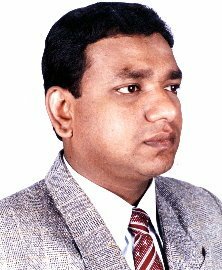 - Associate Professor, Rajshahi University ,from 1st January.1991 to 1994. - Professor at Rajshahi University, from 1994 to Date. 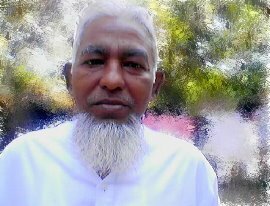 Ex-Housetutor of Mannujan Hall of Rajshahi University (4 years 6 months). Ex-Founder Chairman of Al Quran Department of Islamic University. Date of Birth : 22nd September, 1957. - In Bangladesh (Ram Sagor, Swapno Puri, VinNo Jogot, Cox's Bazar Sea Beach, Potenga Sea Beach, Kaptai Lake, Mongla Sea Port, Sundar Bon, Hiroin Point, Kotka, JafLong And Many Place...). M.A (Thesis) : In Rajshahi University,1994. The subject is-A Study On Islami Shari’a & Nishment Of The Criminals. Ph.D : In Rajshahi University,2001. The subject is-Al-Imam Abu Daud Sulayman Ibn Al Ash’ath As-Sijistani (R) Atharuhu fi ‘Ilmil Hadith Khususan fi ‘Ilmil Jarhi wat Tadil. 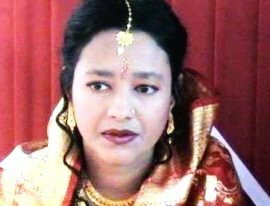 - Lecturer, University of Rajshahi, from 10th October 1998 to 24th October 2001. - Assistant Professor, University of Rajshahi, from 25th October 2001 to 31st December 2004. - Associate Professor, University of Rajshahi, from 1st January 2005 to Date. - Rover Scout, University of Rajshahi, 4th June.1992 to 30th December 1995. 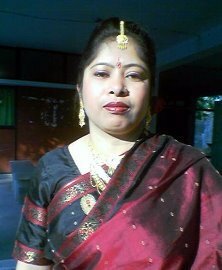 - Housetutor of Bangabandhu SheikhMujibur Rahman Hall of Rajshahi University, from 28th May 2009 to Date. - Tour from Rover Scout to India in (1994). - In Saudi Arabia (2008-December) Perform Holy Hajj. 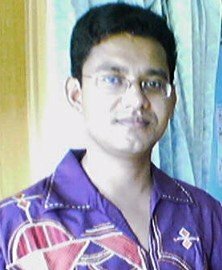 Ph.D : From Rajshahi University,2006. 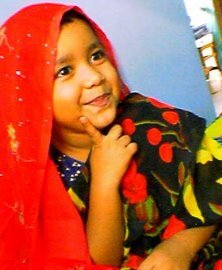 - Muhammad Fazlul-Haque-Girls College (Kushtia) from 28th June 2001 to 10th June 2003. -Hazi Zomiruddin Safina Girls College (Rajshahi) from 13th June 2003 to Date. Lecturer of Finance and Marketing. Date of Birth : 9th October, 1974. B.B.S : Department of Marketing, University of Rajshahi, 1995. M.B.A : Department of Marketing, University of Rajshahi, 1997. - Lecturer of Finance and Marketing. Kamela Haque College, from 29th June 2002 to Date. - Higher Secondary Teachers Training Institute (H.S.T.T.I) from 1st February 2007 to 12th March 2007. Ph.D : From Rajshahi University, 2001. - Lecturer, University of Rajshahi, from 2nd July 2000 to 27th August 2001. - Assistant Professor, University of Rajshahi, from 28th August 2001 to 27th July 2007. 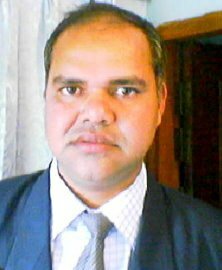 - Associate Professor, University of Rajshahi, from 28th July 2007 to Date. 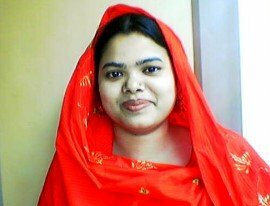 - Assistant Proctor, University of Rajshahi, from 1st March 2009 to Date. Naziba continuing study at Paramount English Medium School in Sunbeam section. B.C.S : 25th B.C.S, 5th May 2006. - B. D. S (Internship) : Rajshahi Medical College, Dental Unit. 15th December 2002 to 14th December 2003. - Post Graduate Training (P.G.T) : Bangabandhu Sheikh Mujib Medical University Hospital 1st January 2004 to 31st December 2004. - Work as a Lecturer in the department of Dental Prosthetics in Rangpur Dental College from 1st December 2004 to 31st July 2006. - Worked as an Oral & Dental Surgeon Under Dr. Amzad Hossain. from February 2004 to November 2004. - Assisted Some Critical Surgical Cases with Dr. Obaidur Rahman Chowdhury, Dr Saber Ali, Dr Washiur Rahman Chowdhury in ENT Operation Theater in Rajshahi Medical College Hospital. - Royel Dental Clinic, at Beyani Bazar in Sylhet. from 1st September 2004 to 30th September 2004. - At DupChaChia, in Bogra from 21st August 2006 to 16th October 2006. - At NaliTa Bari, in Sherpur from 22nd October 2006 to 22nd February 2009. 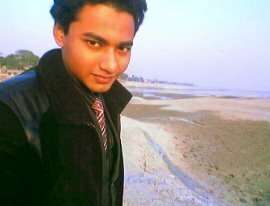 - At Rupgonj, in Narayanganj from 23rd February 2009 to Date. Date of Birth : 28th November, 1979. - B. D. S (Internship) : Pioneer Dental College and Hospital. 7th April 2002 to 26th April 2003. - One month special training on Preventive & Children Dentistry in Bangabandhu Sheikh Mujib Medical University Hospital . - Work as a Lecturer in the department of Science of Dental Materials in Rangpur Dental College from 1st July 2005 to 14th January 2006. - Worked as an Oral & Dental Surgeon under Dr. S.N. Islam. from March 2003 to December 2004. - Worked as an Oral & Dental Surgeon under Dr. Md. Shafiqur Rahman. from January 2005 to June 2005. - Research Assistant, Department of Conservative & Endodontics. Faculty of Dentistry. At Bangabandhu Sheikh Mujib Medical University Hospital (EX-PG Hospital), in Dhaka from 15th June 2006 to Date. M.B.A: Department of Management, University of Rajshahi. B.B.A: Department of Management, University of Rajshahi. Diploma: Diploma in Computer Science and Application, Bangladesh Open University. - Fifa Soccer 2004 : Monthly Projuocty Probaho (Local Paper)-25th December 2004 to 24th January 2004. - Officer of Consumer Sales & Service department under Market Operation division in Robi Axiata Limited from 2nd September 2010 to present. - Authorized representative (Trainee) of United Financial Trading Company Limited from 26th July 2010 to 31st August 2010. - Web manager of Center for Communication and Development (CCD) from 1st October 2007 to 30th June 2010. - Computer data entry operator for National ID Card under Bangladesh Election Commission, from 11th August 2007 to 5th September 2007. - Web reporter of Center for Communication and Development (CCD) from 14th May 2007 to 30th September 2007. - Online radio website www.radiodesh.com and www.radioinvo.com designer. - Caub Section, Rajshahi Government City College (2001-2002). - 3 days Tour Program, 12th November 2001 to 14th November 2001. - 3 days bdjobs.com-BFDF Career Planning Seminar 2009, in Rajshahi, 4th January 2009 to 6th January 2009. - Capacity Building to Contribute on Bangladesh Telecentre Network (BTN) Online Platform, in Dhaka, 25th February 2009. - Workshop on First Basic Orientation Workshop for Facilitators of Bangladesh Telecentre Network (BTN) Resource Centers, Held at YWCA of Bangladesh, Dhaka. On 12th May 2009 to 13th May 2009.